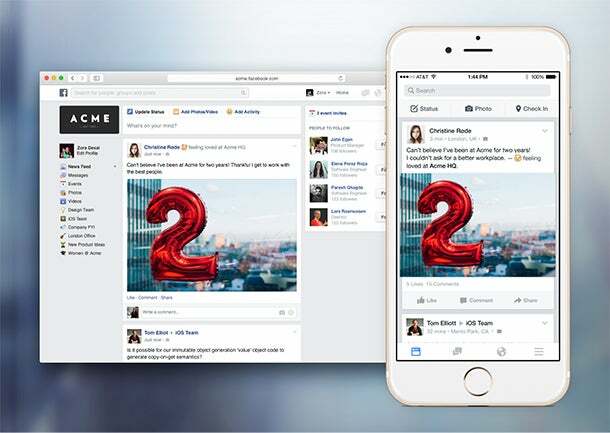 It's been rumored for months that Facebook, the site you spend enough work hours on to begin with, is building a platform for intraoffice communication. 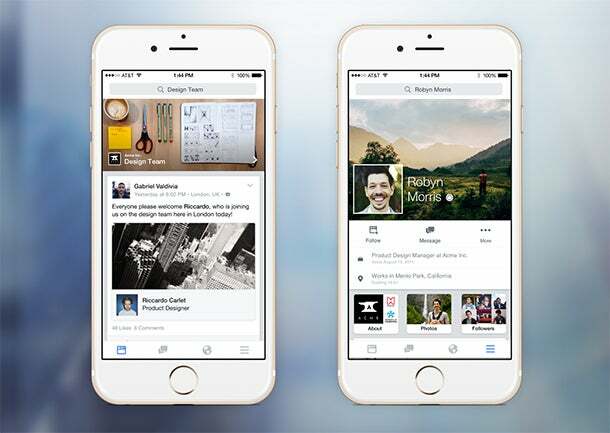 Today, the social giant introduced the new app into the Apple and Google Play stores. 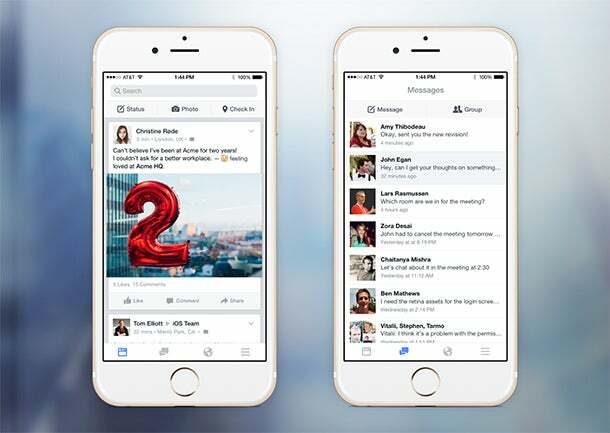 Facebook at Work looks like the Facebook you know and love (or hate? ), but is designed to give employees within an organization a way chat with one another, share news, organize events and collaborate on documents. The app was created “completely for use within a company,” meaning the information employees share there is “safe, secure, confidential and completely separate from their personal Facebook profile,” a company spokesperson says. While the app can be downloaded by anyone, it is accessible only to a few test partners, who Facebook declined to name. The official rollout is planned for some point in 2015. In tossing its hat into the intraoffice communication ring, Facebook is competing with Slack, Convo, Basecamp, Yammer, Microsoft's Skype for Business suite and now LinkedIn as well. Facebook is not currently charging for the app. “We're just getting started, so it's too early to discuss future plans,” a spokesperson says.